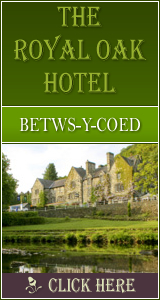 Pentraeth: Accommodation, Attractions, Activities, Going Out, Shopping, Things to Do, Places of Interest, Outdoors, Pentraeth Holidays, Pentraeth Area Location, North Wales. Pentraeth is a typical Anglesey village, on the banks of the Afon Nodwydd (<?xml:namespace prefix =" st1" ns =" "urn:schemas-microsoft-com:office:smarttags"" />Needle River). It takes its name from the Welsh, meaning 'at the head of the sands'. Here in 1170 'the Poet Prince' Hywel ap Owain Gwynedd was killed in battle. His memorial can be seen at the beach where there was once a small harbour exporting Anglesey marble, a rare limestone that was quarried just south of the inlet. Another famous Pentraeth son was the opera singer Ifor Owain Thomas (1892-1956), later a prominent magazine photographer in the USA and an internationally shown artist. Pentraeth's points of interest include the Panton Arms, once visited by Charles Dickens and St Mary's Church (12th-14th century). Southward is Ysgoldy, a schoolhouse founded for the poor in 1719 by educationalist Dr John Jones. Further on are the privately owned Edwardian country house, Plas Gwyn, viewed across the fields, and the 'Three Leaps' stones, where 13th century poet Einion ap Gwalchmai competed for the affections of his wife-to-be by leaping further than his rivals. There are scenic walks along the river to Red Wharf Bay, with its award winning beach and seaside pub and restaurants. A short drive along the B5109 towards Llangefni is Stone Science, a family owned museum with dioramas depicting the evolving ages of the earth. Stone Science is a family owned museum with dioramas depicting the evolving ages of the earth, including dinosaurs, plus thousands of fossils, minerals, crystals and arrowheads. Outside there is a safe children's play area, with pet goats and chickens, a full size replica Iron-Age Round House and other reconstructions. Minerals, fossils, crystals, jewellery, stone crafts and dinosaur models are also on sale.